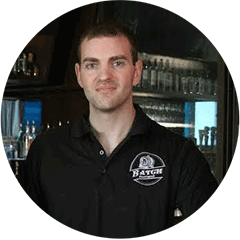 In a city where everyday there is a new bar, restaurant or club popping up, it’s very seldom that we can say, “This place is going to be here for a long time”, but when you take a trip to Batch Gastropub, that’s exactly the feeling you leave with. 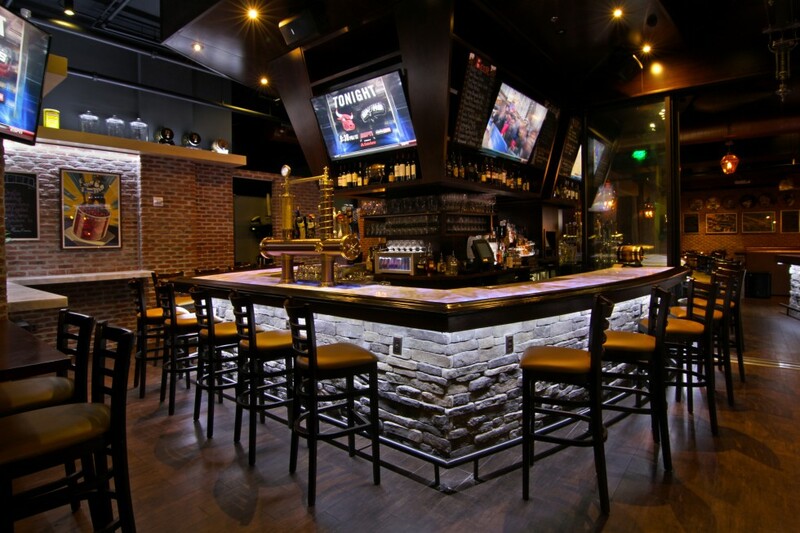 Since opening its doors in December 2013, Batch Gastropub located in Miami’s financial district Brickell, has become the go to spot for locals and non-locals alike. The venue is fun, inviting and it isn’t your typical neighborhood bar. At Batch they like to mix it up by blurring the lines between bar food and fine dining. Chefs playwith the menu to include items such as Duck Confit Nachos, Gnocchi Mac’n’Cheese which are a staple amongst the regulars or their latest addition to the menu the Korean-style Barbeque Pizza. Owner Kevin Danilo, 28, has literally set the bar high when it comes to innovative design and creating an environment that is appealing to everyone’s eye. In addition to the out of the ordinary menu items, Batch is the first establishment to include tap tables for a fun way to enjoy a night out with friends. No need to walk to the bar, just pour a glass of your selected ale right at your table and you don’t have to just get beer, you can have a selection of four items that include beer, the signature cocktail or the night, or even some Jägermeister- now that’s a party! This December Batch Gastropub will be celebrating it’s 1-Year Anniversary and I was able to catch up with owner Kevin Danilo who’s vision for the hotspot took four years to make a reality. With passion like his, we can only expect to see more great projects coming our way. Read below to see what he has to say. What was the original investment in Batch? I never wanted to build out a restaurant, between the cost of a raw build out and knowing how hard it would be just running a restaurant for the first time I wanted to renovate and reopen a second generation restaurant. Unfortunately, Downtown Miami was such a hot market I spent 4 years looking for a location and I was never able to find something with a reasonable valuation and a favorable lease, so the only option was a raw build. Between building out 5,500sf, the associated soft costs, opening business expenses and an operating cushion, the number was pretty large. Fortunately we still were able to do it about 25% cheaper than the industry average by being hands on with everything, it was at the expense of mental health though! What were the projected sales by your 1 year anniversary? Building budgets and forecasts for a new place is kind of like throwing a dart with a blindfold, you barely have an idea of where you’re aiming. While I was looking for locations I went to all the area’s most successful places at different times of the days and tried to calculate their sales volume based on what I saw. From there I averaged all the theoretical figures together and adjusted based on size, I wanted to be at their average our first year, I figured it was an ambitious but possible goal. That number was about 3.5 million. What do you owe the success to? Hard work and fortitude. Honestly, hard work and dedication are irreplaceable. Intelligence and experience are definitely important, but at the end of the day I really believe success is based on how far one is willing to go to achieve it. I’m not the smartest or most experienced owner by any means, but I know I can outwork anyone. The hardest part about ownership is to be knocked down so so many times and to not always be able to see the light at the end of the tunnel. Maybe I’m just unlucky but it seems no matter how hard we work or how prepared we are, something ALWAYS goes wrong, and it’s tough not to get discouraged. Fortunately I have an amazing team around me, it makes it a lot easier to get back up and take on the next challenge. I learned a long time ago unless you’re willing to fight ‘til the end, don’t get in the ring; expecting to be challenged to a breaking point is a prerequisite to success. How has your previous experiences and or studies shape the success? I’ve been doing this a long time, I started as a dishwasher when I was 13. I was bartending in Manhattan at 18 while going to school for finance and entrepreneurship. All that helped, but in reality going from management to ownership was a total 180, I went from doing what I knew and was good at to 90% of my time being occupied with things I had no experience with. Adaptability has been integral to being able to run this place; I’ve made almost an infinite number of mistakes from inexperience, but learning from them and not making those mistakes again is what has made the difference. Do you have a philanthropy aspect you instill in the company? A big part of our concept was based around local ingredients, tying into the community and creating a “family” like setting inside of the restaurant. We hold a ton of charity events and they’ve been a great way to raise some money for good causes while introducing us to new customers. Have you surpassed the projected sales as of now? We’ve had an awesome response from the community, it’s been pretty surreal. We still have a long long way to go before we get to where we want to be, but our first year has been great and we’re on pace to beat all our forecasts. What can you tell us about your staff, what role do they play in the success of Batch? We still have over 50% of our original crew, even 8 months later. Such a huge part of our business relies on customer service, so we put a ton of time and effort into our staff. Our employment test is about an hour long, we wanted to make sure everyone who applied had a chance to show their mettle opposed to the normal hiring scene where it’s a 3 minute interview. We had over 350 applicants and put together a rockstar staff so we made sure to keep them. Training a new employee is expensive so instead of losing great people while business was ramping up we paid them a little more, spent money on staff outings and made sure everyone was happy. It definitely paid off, they all do a phenomenal job and we like to think working at Batch is enjoyable. Don’t let anyone tell you your dream is stupid or that you aren’t good enough. People always criticized what I wanted to do or questioned my abilities, so much so that the last few years I stopped telling people what my goal was. All that matters is that you believe in yourself and in the product that you want to sell. Putting a project together is hard financially, mentally, emotionally, and everything in-between, I heard 100 “nos” for every “yes”, but you cannot let it shake you. If you believe in yourself and you’re confident you did your homework you shouldn’t be afraid to push your chips all-in and trust yourself to succeed. We’re all capable of magic if we put our minds to something and give 100%.